Swedish weaving — also called Huck darning and Huck embroidery — combines darning, embroidery and weaving to create decorative edges for pillows, towels, blankets, tablecloths, place mats, etc. The designs are usually geometric in nature, and worked primarily along the surface of the cloth rather than going up and down through the cloth. 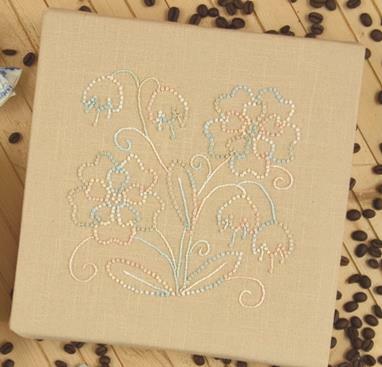 This embroidery is a free hand style of that utilises stem stitch, satin stitch, feather stitch and French knots to great effect. 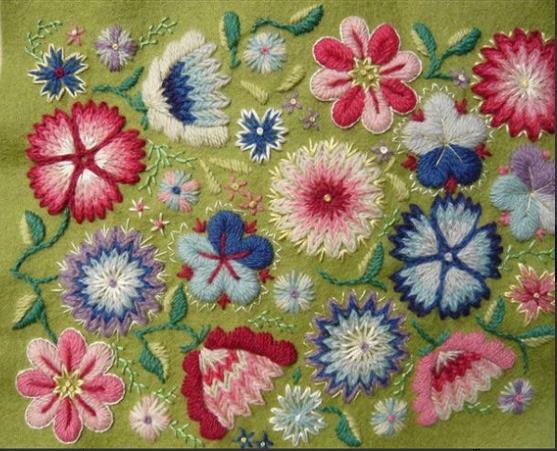 The first master class by Mary Hickmott is going to be on candlewicking embroidery on 25th February 2014. 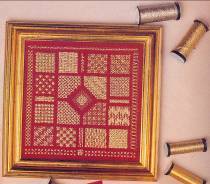 Candlewicking is a traditional form of embroidery based on the colonial knot. 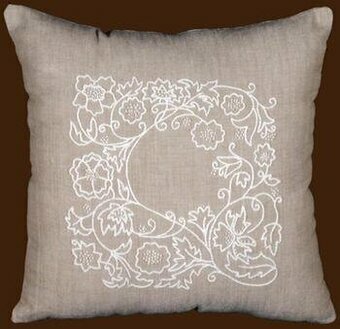 It is a type of whitework or white-on-white embroidery. 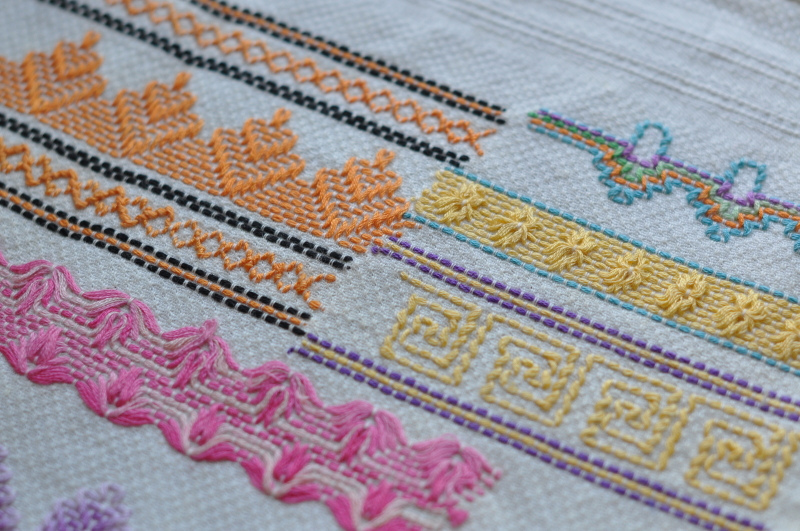 Large knots are embroidered in heavy thread on heavier-weight cotton or linen embroidery fabric . It gets its name from the nature of the soft spun cotton thread, which was braided then used to form the wick for candles. Originally, unwaxed candle wick thread was used as it was available easily and was inexpensive . Selecting embroidery threads for a candlewick project depends entirely on the finished size of the knot. 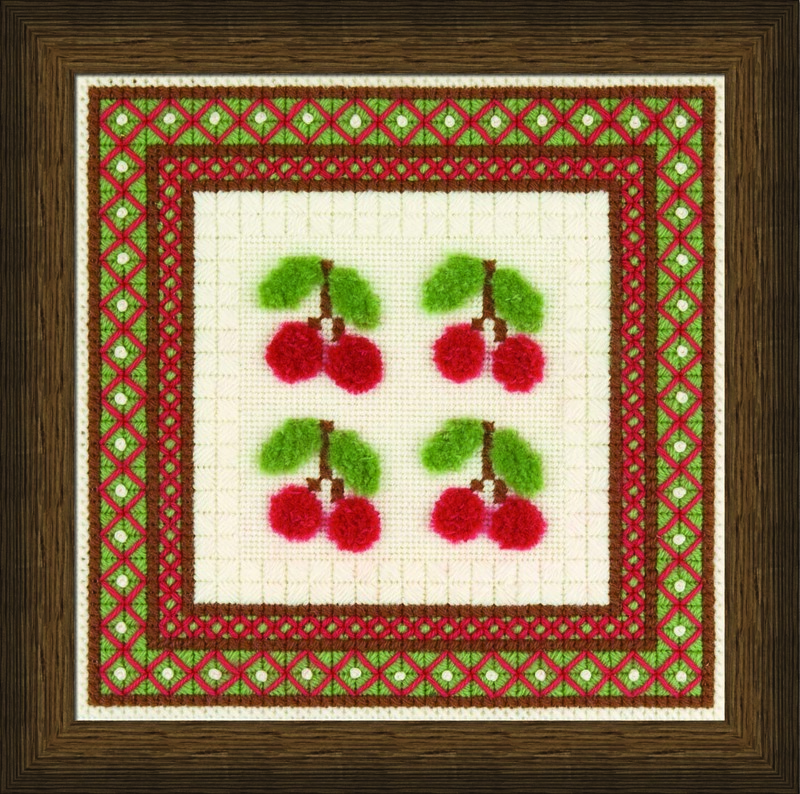 Projects that are smaller in scale and worked with smaller knots can be stitched using #5 or #8 pearl cotton or regular embroidery floss, separating the six strands into the appropriate-sized groups. These threads are also available in multiple colors. 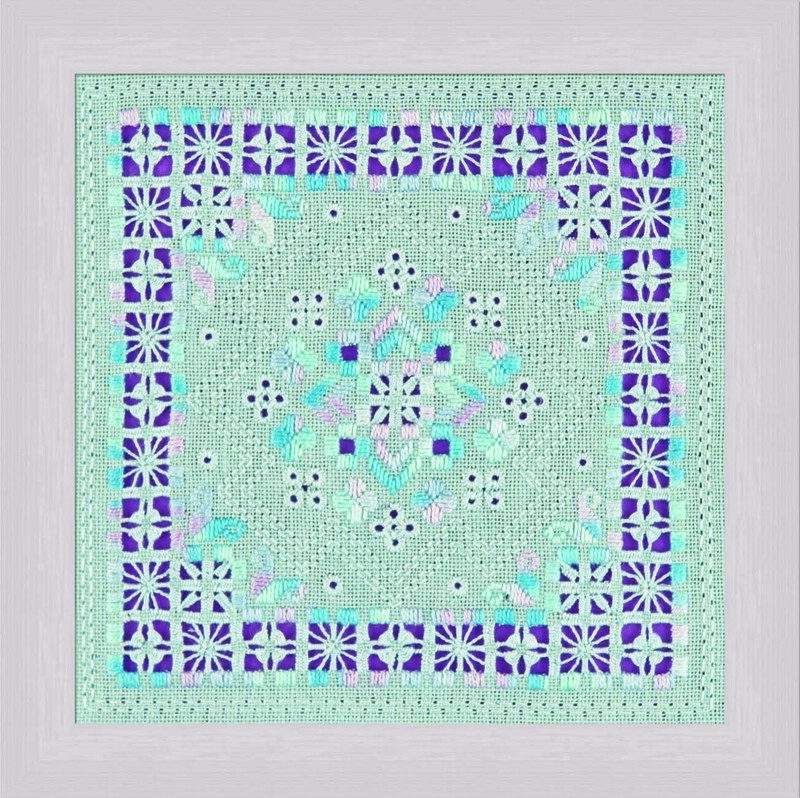 Candlewicking patterns are very simple having geometric shapes, small motifs and floral patterns. Patterns are marked on fabric involving evenly-spaced dots and each dot on the pattern represents one colonial knot.